The Northeast Heights is the most popular area of Albuquerque. 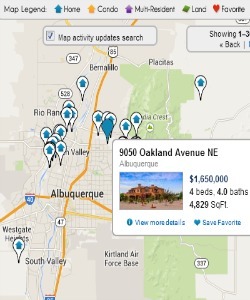 The NE Heights is actually made up of six different MLS areas, North Albuquerque Acres, Albuquerque Acres West, Far Northest Heights, Academy West, Uptown and Northwest Heights. 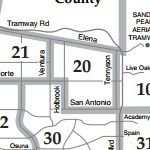 North Albuquerque Acres is bounded by Tennyson and Holbrook/Ventura, and by Elena and San Antonio/Paseo. Mixing country living with city conveniences, North Albuquerque Acres features luxury homes on large lots in areas like Primrose Pointe. Horses are welcomed in some areas. Many of the homes are on wells and septic systems. Enjoy 360° views of city lights and the spectacular Sandia Mountains. 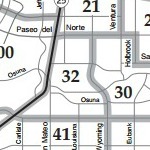 The Albuquerque Acres West area is bounded by Ventura and I-25 and Paseo Del Norte and Tramway. This area offers luxurious private gated estates as well as some more affordable homes in the highly desirable La Cueva School District. You'll find a vibrant and growing upscale shopping and dining community. Relax and enjoy the many amenities of the nearby Sandia Casino and Resort. 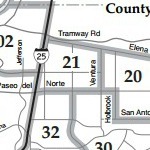 The Far Northeast Heights area is east of Wyoming between Montgomery and Paseo, and west of Tramway between Montgomery and San Antonio. This area is home to the upscale, gated Tanoan community featuring a country club and championship golf course as well as Cherry Hills, Heritage East and Heritage Hills. The CNM Community College Montoya Campus and prestigious private Albuquerque Academy is also located here as well as numerous shopping and medical facilities. 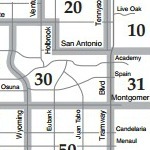 The Academy West area is bounded by Montgomery and Paseo, and I-25 and Wyoming. This area features single-family homes, townhomes, and condos. Recreation includes the beautiful Arroyo Del Oso Public Golf Course and Cliff's Amusement Park. Academy West is adjacent to Century 24 Theater and numerous restaurants. 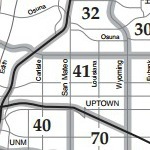 The Uptown area is bounded by Montgomery and I-40, and by I-25 and Wyoming. Centrally located Uptown boasts a new upscale shopping center, plenty of dining options, and a large business district. 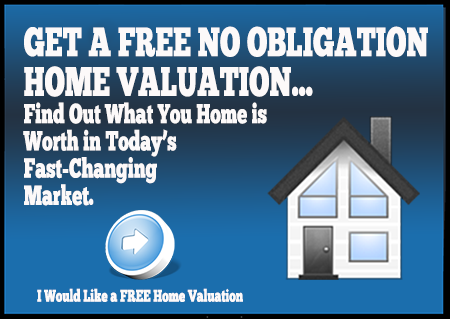 The area includes affordable homes in established neighborhoods with mature landscaping and numerous ranch-style homes. The Northeast Heights is bounded by Montgomery and Central, and by Tramway and Wyoming. As one of the largest and most diverse areas of NE Albuquerque, NE Heights neighborhoods include Holiday Park, the gated community of Towne Park and the newly developing Presidio Townhomes & Condos. Medical facilities include the Presbyterian Kaseman Hospital featuring the M.D. Anderson Cancer Center. Recreational opportunities include the Hinckle Family Fun Center and Los Altos Park and Golf Course.